Kenya…a completely life changing experience. It has been just over two weeks since our arrival back into the UK and from the minute I stepped off of the plane I have wished I never left Kenya. After spending only two weeks there it felt like a second home and the people who I was with had become a second family. 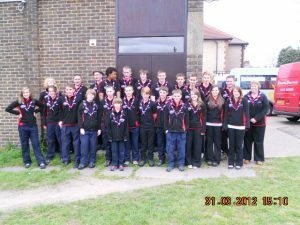 Around a year ago, a selection of 23rd Bromley Scouts and Explorers signed up to embark on what they didn’t know at the time to be a completely world rocking experience. 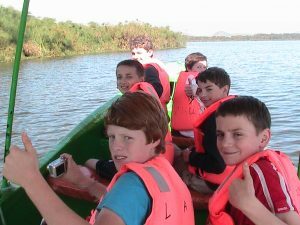 Throughout the year we worked together as a team to fund raise, train and organise our trip. A year to prepare seemed like a long time but in a blink of an eyelid we found ourselves sitting at the airport in the departure lounge awaiting our flight; everyone with mixed emotions not knowing what to expect. We had all been given an idea of the circumstances that we would encounter but being told them by someone else is never the same as being subjected to situations yourself. Eight hours later we were finally there. After finding our bus and loading our bags onto the roof we all climbed in and set off on our journey. Driving out of Nairobi we began to see the extent of Kenya’s poverty. The further we drove away from the heart of Nairobi the sparser everything became; roads became dust tracks, tin houses and children that looked as young as 4 wondering alongside the road. Already within the first half an hour of being there we realised how different our lives were. 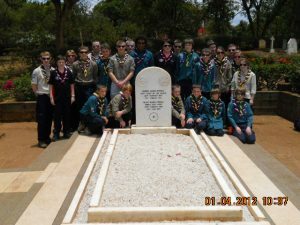 In the first two days of our trip we visited Lord Robert Baden Powell’s grave stone and renewed our promise, and also visited Tree Tops where he lived the final years of his life. From there we went onto Nakuru where we had a days Safari planned. We got to see a whole array of animals that you would never see in the UK! Our third day in and we arrived at the Harambee Safe House and wow, what a welcome. The boys came running down to us and before we had even got off the bus there was hugging, hand shaking and jumping about. I have never been so overwhelmed. Before we even had the chance to pick up our bags the boys were already carrying them up to the safe house on their shoulders and heads, effortlessly. I couldn’t believe how strong they were. Once we had put up our tents and unpacked we finally got to spend some time with the Kenyan boys. Over the week we really got to know the boys and each one of them was truly amazing. They all had their own unique personality which shone through and through. Our Scouts and Explorers got on with them like they had known each other for years and after speaking with a few of them when we got back they all expressed how happy they were to have been able to meet and spend a week with them. I think I can speak for us all, we really miss them. In the following days we got stuck into some project work involving a lot of physical exercise and hard graft which I can safely say was very tiring. 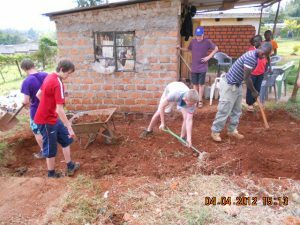 We were also allocated into groups and took it in turns to do the food shopping, water collecting and cleaning. We had a routine that worked well as we did it as a team. An experience which I felt brought everyone a lot closer was the opportunity to visit Kisii in the evening. There were 4 tours over 4 nights. The leaders took the first trip so they were able to experience it for themselves and know what to expect when taking out their groups later in the week. I cannot even begin to explain my feelings towards what I saw. The matatu (a privately owned minivan) drove through the town where we witnessed girls as young as 12 selling themselves to provide for their family, many of them high so they didn’t have to remember what they were doing. We also saw boys as young as 5 on the street sniffing glue to eliminate the pain they were feeling. We got the chance to smell the glue and even when the bottle had been disposed of the smell still lingered. The only way to describe the smell would be wall paper striper. What was most upsetting about the experience was that there was nothing in our power to help all of them; but knowing that there were charities like Harambee for Kenya out there helping children made it a little easier. When we arrived back at the the safe house after each tour we would all sit in a group and talk about what we had seen. This showed how close and comfortable we had become as a group, being able to speak about how we felt without the feeling of being judged or feeling uncomfortable. Another opportunity we were given was the chance to visit a Kenyan School. Walking around was another culture shock of how different our upbringing is. We were given a tour by the deputy head teacher and asked to invigilate the examinations. We had been there for 10 minutes and already felt helpful. That was something about Kenya that I loved, even if they had known someone for a brief period of time they worked well together to get the job done. Out there everyone helps everyone giving a real sense of a community. When the school children came out for break we went onto the playing field with them. Some of the Scouts played football with them and some were taught a new version of hop-scotch. Being at the school and seeing how the children worked so hard and felt privileged to be there made me realise what we take for granted. We all had a great time at the school and again felt so welcome. As the week drew to an end the atmosphere changed dramatically; while we all missed home, family and friends we all didn’t want to leave the boys. We knew saying good bye would be one of the hardest things we had to do and it was. The boys waved us off in the exact place they had greeted us, however this time with different emotions. On the next Scout meeting after we got back, I spoke to the scouts and asked how they were. They all said exactly the same as how I was feeling, they missed it, the whole experience but mostly they missed the boys. A lot told me of the great friendships that had formed and what they had learnt from the safe house boys. After time at the safe house we continued our travels around Kenya – taking a boat trip to view Hippos on Lake Naivasha, visited an elephant sanctuary, fed giraffes at Giraffe Manor and then spent a few days relaxing in Nairobi. I am so grateful for being given the opportunity to go on this expedition and would jump at the chance to go again. A day hasn’t gone past when I haven’t missed it.